Is Bank of America open? If you are wondering if you will be able to head to Bank of America on any particular holiday in 2019, here’s a look at their schedule. Bank of America has over 5,000 branches in the U.S. Many people open an account with Bank of America for that reason, as you can almost guarantee to find a branch nearby when you need one. Like most banks, Bank of America recognizes specific federal holidays. Every Bank of America office and financial center uses the same holiday schedule. This means all of the locations close on the same days, regardless of where their physical locations. New Year’s Day: Tuesday, January 1. Bank of America is closed. Martin Luther King Day: Monday, January 21. Bank of America is closed. Presidents’ Day: Monday, February 18. Bank of America is closed. Memorial Day: Monday, May 27. Bank of America is closed. Independence Day: Thursday, July 4. Bank of America is closed. Labor Day: Monday, September 2. Bank of America is closed. Columbus Day: Monday, October 14. Bank of America is closed. Veteran’s Day: Monday, November 11. Bank of America is closed. Thanksgiving Day: Thursday, November 28. Bank of America is closed. Christmas Day: Wednesday, December 25. Bank of America is closed. Patrick’s Day: Sunday, March 17. Bank of America is closed. Easter Sunday: Sunday, April 1. Bank of America is closed. Cinco de Mayo: Sunday, May 5. Bank of America is closed. Mother’s Day: Sunday, May 12. Bank of America is closed. Father’s Day: Sunday, June 16. Bank of America is closed. There aren’t very many banks open on Sundays during the year, so the closures are not technically in observance of the holiday. For example, Bank of America is usually open on St. Patrick’s Day, but March 17 falls on a Sunday in 2019. The same goes for Cinco de Mayo. Christmas Eve: Tuesday, December 24. Bank of America is open. New Year’s Eve: Tuesday, December 31. Bank of America is open. However, if any of the holidays above fall on Sundays in other years, Bank of America will close according to their typical Sunday schedule. It’s important to note that, even if you head to a Bank of America on the day before a holiday, a holiday can impact processing time. Along with not being open, certain transactions may not go through on holidays or Sundays, so anything that can’t process immediately, like bank-to-bank transfers or non-cash deposits, are delayed. If you need a transaction to complete fully before a holiday, it’s wise to head to the bank three to five business days before the holiday. This increases the odds that it will complete in time, though, depending on the transaction, that isn’t guaranteed. When in doubt, contact Bank of America directly to learn about processing times. Then, you’ll know exactly when you need to head to your nearest location. If you can’t get through using the regular customer service number, call 704-386-5687 – the number to Bank of America Executive Customer Relations, where someone can likely help you more quickly or transfer you to someone who can. Just be aware that that is not a toll-free number, so long distance charges may apply if your calling plan does not provide free long distance calling. What Are Bank of America’s Regular Opening Hours? Not every Bank of America office, financial center, or branch follows the same schedule, except when it comes to holiday and Sunday closures. There regular operating hours can vary, so you’ll need to check with your preferred location to get exact opening hours. Otherwise, either use Bank of America’s online tool to check before you head out the door or contact your destination branch to confirm their hours. And, remember, if you can complete your transaction using an ATM or with online banking, you don’t have to worry about the hours. You can use any ATM outside, barring technical issues, 24/7. Similarly, you can handle tasks like transferring funds and paying bills through the online portal anytime, as long as the system isn’t down for maintenance. However, keep in mind that a holiday can delay how long it takes the transaction to fully process, so make a note of your activity and anticipate a longer wait for the transaction to complete. Have you ever needed to go to the bank on a holiday? Tell us how you handled it in the comments below. Bank of America is reportedly the second largest bank in the United States (by assets) and has more than 5,000 branches throughout the nation. Because of this, many choose them as their primary banker. As a business that recognizes federal holidays, we often forget that in addition to celebrations like Thanksgiving and Christmas banks close on many major holidays. So, you’ll need to be aware of the Bank of America holiday hours in case you need to access your checking and savings accounts. What Are the Bank of America Holiday Hours? Martin Luther King Day: Monday, January 16. BofA is closed. Presidents’ Day: Monday, February 20. BofA is closed. St. Patrick’s Day: Friday, March 17. BofA is open. Easter Sunday: Sunday, April 1. BofA is closed. Tax Day: Tuesday, April 18. BofA is open. Cinco de Mayo: Friday, May 5. BofA is open. Mother’s Day: Sunday, May 14. BofA is closed. Memorial Day: Monday, May 29. BofA is closed. Independence Day: Tuesday, July 4. BofA is closed. Labor Day: Monday, September 4. BofA is closed. Columbus Day: Monday, October 9. BofA is closed. Veteran’s Day: Saturday, November 11. BofA is closed. Thanksgiving Day: Thursday, November 23. BofA is closed. Christmas Eve: Sunday, December 24. BofA is closed. Christmas Day: Monday, December 25. BofA is closed. New Year’s Eve: Sunday, December 31. BofA is closed. Bank of America is usually open on Christmas Eve, but because it falls on a Sunday this year, they will be closed. Keep in mind that holidays may affect processing times for deposits or other transactions such as electronic transfers. What are Bank of America’s Regular Open Hours? That said, the hours do vary based on region, so it would be smart to contact their customer service department anytime from 7:00 am to 10:00 pm. The best number to call is: 704-386-5687. That is the Executive Customer Relations number. Don’t call the main line, the wait is longer and the service isn’t as good. You can also use their online locator if you need to find a specific branch. According to the venerated Encylopedia Brittanica, Bank of America started in 1904 as the Bank of Italy in San Francisco. Over time, it evolved into the Bank of America Corporation and issued the first bank credit card in 1958, which they named the BankAmeriCard. BoA is responsible for the biggest U.S. interstate bank merger when they acquired the Washington state bank Seafirst Corporation in 1983. Another milestone for the company took place in 1991, when they became the first bank to offer coast-to-coast services in the U.S. after they purchased Security Pacific Organization, their major competitor in California. BofA met much scrutiny after the global financial crisis in 2008. Particularly when they announced in January 2009 that they would receive $20 billion in U.S. government aid and an additional $118 billion in guarantees against bad assets incurred as a result of the 2008 acquisition of Merrill Lynch. Because of this, Bank of America faced numerous state and federal lawsuits claiming that they defrauded investors. In 2012, they agreed to pay $2.43 billion to settle a class-action lawsuit, and in 2014, they agreed to pay $16.65 billion to the U.S. government after being sued for financial fraud. Finally, in 2017 bank was sued by the Federal Deposit Insurance Corporation (FDIC) for $542 Million. The 2017 lawsuit charged that the bank had underreported their financial statements in order to avoid paying the FDIC, indiating the bank’s legal troubles are not over yet. What Time Does Applebee’s Close? Bank of American was contacted for this article. Have you noticed that lately new bank fees and fee increases have been popping up like pimples on prom night? Much of this is because of new federal regulations limiting revenue major financial institutions take in from things like overdraft fees and, more importantly, debit card swipe fees. Also known as interchange fees — this is what banks charge stores and other merchants every time you swipe your debit card. 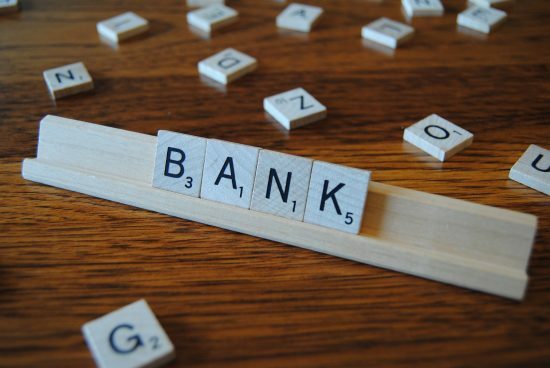 To make a long story short, those new rules mean banks will be losing billions of dollars. Unfortunately, they’re turning to consumers like you to make up many of the losses. The most talked about new fee came from one of the biggest financial institutions in the country, Bank of America. Not long ago, Bank of America said it would start charging customers $5 a month if they use their debit cards. That plan was recently scrapped — but that doesn’t mean banks won’t be looking for other ways to make a profit. If you’re not careful, bank fees can start piling up. But when you pay attention and make smart choices, you can actually avoid many of these fees. Here are the four easy ways to do so. As you might expect, Bank of America’s plan to start charging people $5 a month caused a huge uproar of complaints and criticism. People wanted to know why on Earth they should have to pay to access their own money. The truth is that debit cards actually save banks a lot of money when compared to the cost of processing paper checks. However, the fees connected to debit cards, as well as overdraft charges were subsidizing popular free checking accounts. That’s why you see so many banks getting rid of free checking. Bank of America’s debit card fee was the last straw for many people. The decision could have paved the way for other financial institutions to start charging similar debit card fees. In fact, major banks like JP Morgan Chase and Wells Fargo were already testing fees of their own. But the outrage of consumers around the country prompted many, including Bank of America, to change course. JP Morgan Chase and Wells Fargo decided to end testing and won’t expand the debit card fee program. SunTrust bank in Atlanta and Regions Bank in Alabama also chose to eliminate debit card fees. At first, Bank of America stood its ground. CEO Brian Moynihan even defended the fee saying banks had the right to make money. Then the company looked to compromise, and planned to give customers more ways to avoid the unpopular fee. But in the end, even BofA decided to axe their $5 debit card fee. Make no mistake about it. When consumers make a stand, companies take notice. So don’t assume no one is listening when you send emails, voice your opinion on social media outlets or take other actions to express your thoughts and concerns. Probably the best way to avoid new bank fees is to find a better bank. Many experts suggest you look into smaller community banks and local credit unions. There are quite a few benefits that come with making such a switch. Credit unions typically have fewer fees, or the fees they do charge for things like bounced checks or low balances are often less than major banks. You’ll be more likely to find free checking accounts at smaller financial institutions. 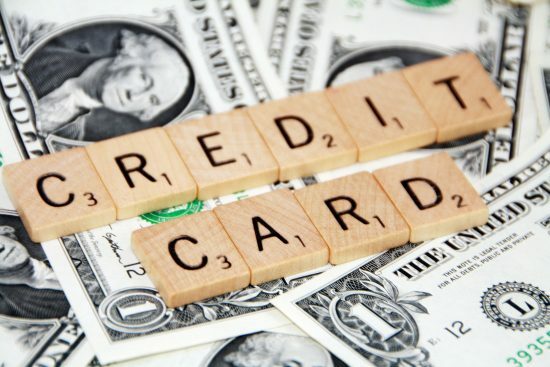 Credit cards issued by a credit union may also come with lower interest rates, while interest you gain on savings accounts and certificates of deposits are often higher. If you’re a customer of a credit union, you’re also one of the owners. That means you get to vote for members of the board and on other issues related to the company. At big banks, their primary focus is making money and pleasing shareholders. Credit unions are non-profit entities. The money you deposit in local banks and credit unions is also more likely to stay in your community. It gets used to make loans to small businesses and homeowners in your region. If you decide switching financial institutions is a good idea, make sure you do some research and shop around. Compare rates and fees to find the right fit for your finances and lifestyle. Bank of America customers were being told to use an ATM to periodically withdraw money and use cash instead of their debit cards. There are some pros and cons to this approach. We’ve all cringed when stopping at an out-of-network ATM and hitting “Yes” to accept an additional fee. If you choose this strategy to avoid other bank fees, be aware the ATM fees could start piling up just as easily. Try to use only ATMs that are in your network and free of fees. However, if you bank somewhere that reimburses ATM fees, it’s a great plan. They say “cash is king” for a reason. It’s accepted everywhere and can also help you stick to your budget. You’ll be more aware of how much you’re spending when you have to pull crisp green bills out of your wallet instead of simply swiping a plastic card. Two of the most common ways to avoid bank fees are meeting requirements for direct deposits and maintaining a specific minimum balance. Most of us now have our paychecks direct deposited, but some financial institutions may ask for a minimum of two direct deposits in order to get certain fees waived. Minimum balance requirements can also vary between certain accounts and banks. For instance, Citibank recently announced a restructuring of its checking account fees. Customers with Citi’s EZ Checking account have to carry a minimum balance of $6,000 or they’ll be charged a $15 monthly fee. It’s unlikely that the average American keeps at least 6-grand in their checking account. Customers did have the option of switching to other types of checking accounts with lower minimum balance conditions. Two other common loopholes to avoid fees include having your monthly bank statement sent in an email instead of getting a paper copy, and signing up for online bill pay through your bank. If you don’t know what fees your bank is charging you, then you better find out. Ask questions, look online and closely examine your monthly statement for charges. Different financial institutions have different fees, and some can get pretty annoying. Your bank might be charging you for having a monthly statement sent in the mail. You could be charged a fee for talking to a teller when you visit your bank in person or having coins counted and cashed. You may even be charged for redeeming rewards points from debit or credit cards. Obviously, you won’t be able to avoid bank fees if you don’t know what they are. It’s your money. So take the time to look into what you may be missing. For those of you who decide it’s best to part ways with your current financial institution, make sure you follow the right steps. Don’t close your old account before opening a new one. Transferring your money electronically is the safest way. Make sure all purchases and bills have cleared before moving all your money, and get a written statement confirming your old account was closed. By the way…your bank just might charge you one more annoying fee for closing that account. About the Author: Kasey Steinbrinck is a former TV news producer and newspaper reporter who now writes about personal finance, the economy and consumer news for Check Advantage. The online printer of business checks and personal checks is dedicated to providing useful financial information to all consumers.